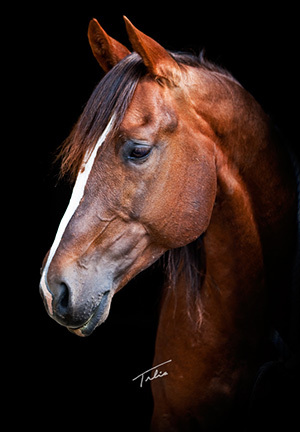 SWEETER THAN PEPTO, or "Sweet P" as he's affectionately known, is a beautiful chestnut stallion with great bone, solid conformation and a kind nature that he's passing on to his foals. By the legendary 25+ Million dollar sire PEPTOBOONSMAL out of money-earning and proven producer SWEET LIL LENA. He is a full brother to PEPTOTAZ and SWEET LIL PEPTO. He was shown by Todd Crawford in his futurity year and earned $8500.00 NRCHA earnings in his first show year. Sidelined by an injury early in his show career, he is making his mark as great producer and we are excited to offer him at Stud. 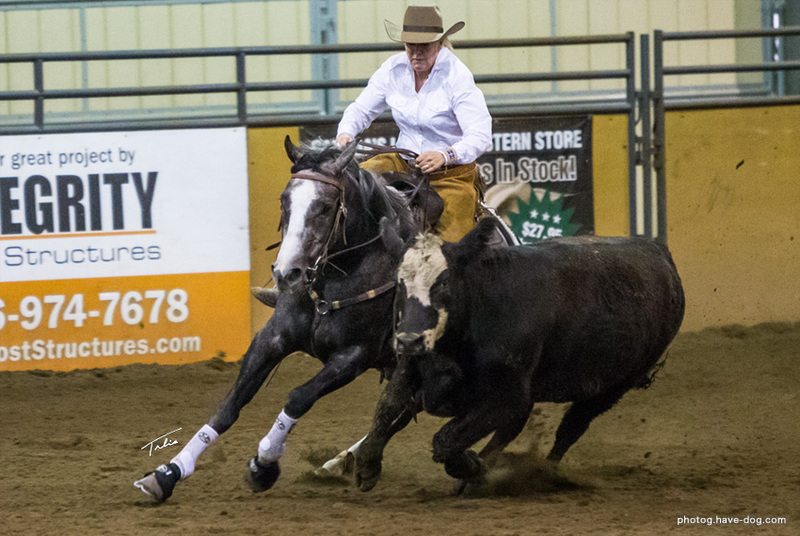 SWEETER THAN PEPTO's sire PEPTOBOONSMAL needs no introduction... $180,487: NCHA Open Futurity Champion. 2012 Equi-Stat #5 Leading Cutting Sire and NRCHA #5 Leading Sire, siring the earners of over $25,000,000. 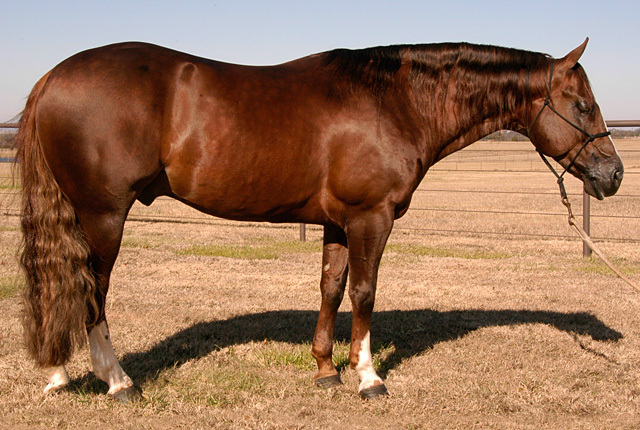 PEPTOBOONSMAL has been a top cutting horse sire every year since his first foal crop came of show age in 2001. His NRCHA-performing foals have won $1,152,368.59. The top-earning cow horse sired by PEPTOBOONSMAL is the 2005 red roan stallion SMART BOONS (out of Smart Little Easter x Smart Little Lena), owned by Kevin and Sydney Knight. 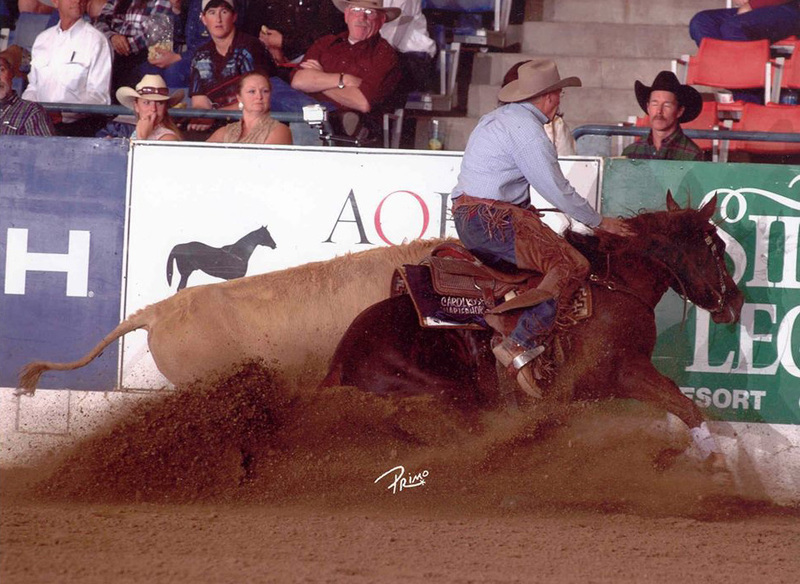 Shown primarily by NRCHA $1 Million Rider Corey Cushing, SMART BOONS earned $191,273, including the 2009 NRCHA Derby Open Championship, before retiring from the show pen in 2012. 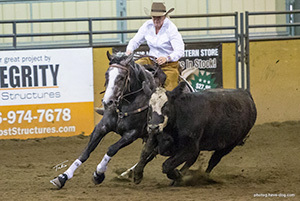 SWEETER THAN PEPTO's dam, SWEET LIL LENA is a money-earning mare with lifetime earnings of $124,843: NCHA $10,000 Non-Pro Futurity Reserve Champion; Tropicana 4-Year-Old Open Futurity Champion; Bonanza 4-Year- Old Non-Pro Champion; PCCHA $10,000 Non-Pro Derby Reserve Champion. Sister to SMART LIL SCOOT ($266,125: NCHA Classic/Challenge Champion; NCHA Super Stakes Classic Champion). SWEET LIL LENA has certainly proven herself as a producer. Dam of 12 performers earning in excess of $802,128, including SWEET LIL PEPTO ($237,783: Breeders Inv. Open Derby Champion; 4th, NCHA Open Futurity; finalist in the NCHA Open Super Stakes, NCHA Open Derby and Memphis 4-Year-Old Open Futurity), PEPTO TAZ ($132,224: 6th, NCHA Open Super Stakes; Suncoast Winter Derby Open Champion) SWEET LITTLE CD ($106,085: NCHA World Open Finals Champion; 6th, NCHA Super Stakes Open Classic), SWEET LIL BOO ($71,510: split 7th, NCHA Open Derby; split 4th, South Coast Open Winter Derby), POISON OAK SMARTS ($50,987: Chevy Nationals East $2,000 Limited Rider Champion; 3rd, Augusta All/Age $20,000 Non-Pro), SHADY LITTLE CAT ($48,289: Augusta Classic 5/6-Year-Old Open Co-Reserve Champion), SWEET CALICO CAT ($30,535: money-earner, NCHA Open and Non-Pro Futurities), LENA BOON ($29,941: Augusta 5/6-Year-Old $50,000 Amateur Classic; top 10, Music City 4-Year-Old Open), and ONE SMARTCAT ($18,682: split 4th, Augusta 4-Year-Old Open Futurity; finalist, Abilene Spectacular 4-Year-Old Open Derby) just to name a few. Maternal grandsire, the legendary SMART LITTLE LENA proved it's not the size of the horse in the fight, it's the size of the fight in the horse that matters. "SMART LITTLE LENA's low, flowing snaky cutting style won the 1982 NCHA Futurity. 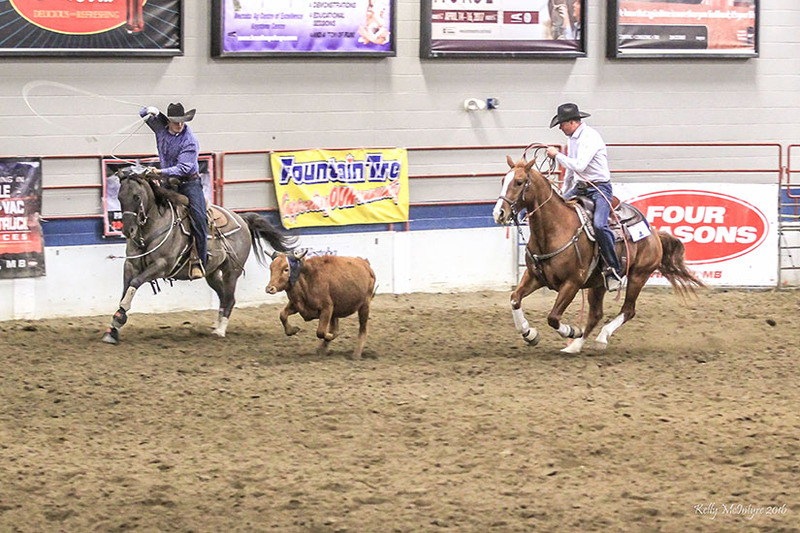 He followed that win with first-place finishes in the NCHA Super Stakes and Derby. After earning $577,652 in just eight shows, SMART LITTLE LENA was retired to the breeding shed. As a sire, SMART LITTLE LENA was outstanding, with money-earning foals in every performance discipline. 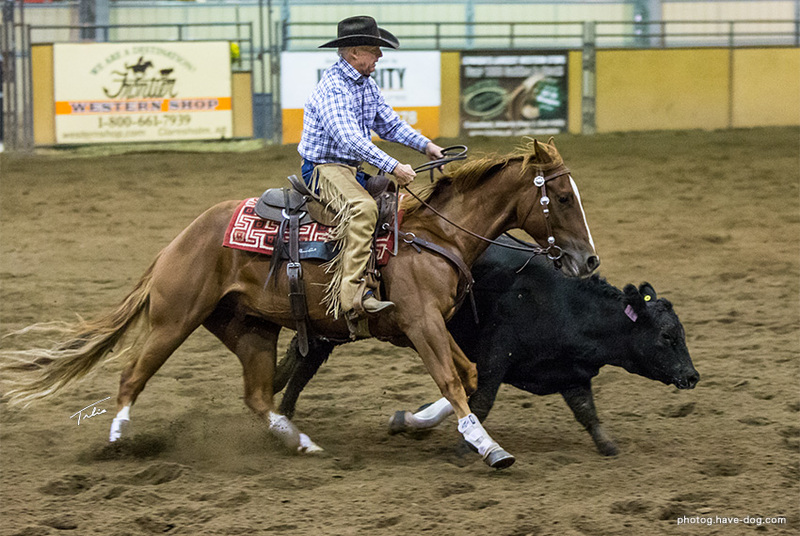 In AQHA competition, his offspring earned 9,744.5 points and 22 world championships, along with $216,387. 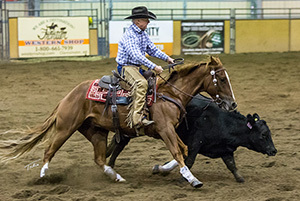 In the National Reining Horse Association competition, his foals earned $686,470. 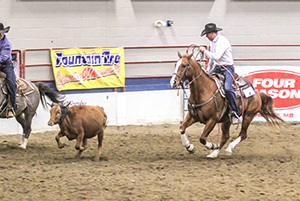 In the National Reined Cow Horse Association, they earned $973,136.95. But Smart Little Lena's foals were primarily destined for the cutting pen and NCHA, where they earned $34.9 million. As a maternal grandsire, his grandget earned 14,979.5 points in AQHA competition and $567,224. In NRHA competition, they earned $1.8 million; in NRCHA competition, they earned $2.56 million; and in NCHA, they earned $50 million." Excerpt from the AQHA Hall of Fame Museum. "I'm pretty sure Sweeter Than Pepto babies are born broke, and just get better as they age. I love my Sweet P foals."